People suffering from coeliac disease cannot digest foods and drinks that contain gluten in them. It is not an intolerance of gluten or a food allergy; it is rather an autoimmune condition in which the immune system starts attacking tissues of the small bowel when gluten is consumed. The symptoms of coeliac disease include bloating, stomach pain and diarrhea. With the passage of time, this disease might result in unexpected weight loss and lack of normal growth in children. Coeliac disease is incurable, but eating a gluten-free diet can help patients in managing this disease. Coeliac disease (spelt in some countries as celiac) is a condition in which the immune system becomes sensitive to gluten intake and starts attacking the small bowel. Gluten is a protein which is found in oats, barley, rye and wheat. This sensitivity of the immune system to gluten results in damage sustained by the small bowel. In this disease, villous atrophy or inflammation of the villi occurs which are finger-like projections lining the bowel. The atrophy of the villi leads to the reduction of the surface area in the bowel where nutrient absorption can take place. This can result in the development of malabsorptive and gastrointestinal symptoms. In UK, coeliac disease is not very uncommon and every 1 in 100 people are affected by it. The cases of this disease that have been reported so far have revealed that it can occur at any age and women are about two to three times more likely to develop this disease than men. What Are the Symptoms & Complications of Coeliac Disease? Coeliac disease symptoms are intermittent in nature and can vary from severe to mild. You might not feel any symptoms if you are having mild case of coeliac disease and you might not even get diagnosed until testing is done for some other issue. Diarrhea is among the most common coeliac disease symptoms and results because of malabsorption which is the inability of the body to absorb the nutrients present in the food.Malabsorption results in the production of fatty stools (steatorrhea). Since they have a large amount of fat present in them, such stools give off a very bad smell, are extremely greasy and frothy and very hard to flush down the toilet as well. Since coeliac disease makes it impossible for you to digest the food you eat, it can make you look malnourished if it is left untreated for a long period of time.Children affected by malnutrition because of coeliac disease might not grow like other children. Their height and weight would be less than normal children and they will reach puberty at a later stage as well. Dermatitis herpetiformis is a type of skin rash that occurs because of the autoimmune response generated in the body of coeliac patients due to gluten intake. This rash appears in the form of blisters on the buttocks, knees and elbows mostly and can cause a great deal of itchiness. Almost 20% of coeliac disease patients suffer from dermatitis herpetiformis as well. You must see a doctor immediately if you start observing any kind of symptoms that are mentioned above after having consumed foods that contain gluten. The doctor is going to perform a physical exam and take your medical history if he/she suspects that you might be suffering from coeliac disease. Blood tests are done and a biopsy of the small intestine is performed to confirm the diagnosis of celiac disease. Sensitivity to gluten is considered the main cause of coeliac disease. 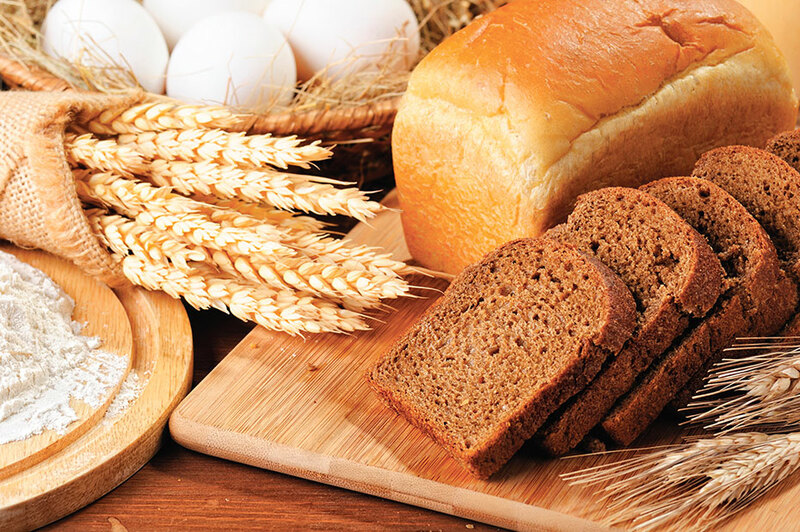 Foods like wheat, barley, rye and products made from them like biscuits, bread and pasta all contain gluten. Oat is another food that contains gluten. The bodies of people suffering from coeliac disease form antibodies that fight against gluten. These antibodies are a type of proteins which are formulated by the immune system and usually attack germs, viruses and bacteria. In simple words, the bowel thinks of gluten as a germ and start fighting it off. The action of the antibodies causes inflammation in the lining of the small intestine. Babies can suffer from coeliac disease as well. Gluten sensitivity can occur in adults at any stage of their life which can lead to the development of celiac disease. The reason why the immune system becomes sensitive to gluten in some people remains unknown. The simplest treatment for coeliac disease is to exclude those foods from your diet that contain gluten. This is going to put an end to the symptoms of the disease like stomach pain and diarrhea which were being caused due to the inflammation of the stomach lining. However, for this treatment method to work, you will have to make sure that you do not consume any food product that contains gluten ever in your life or the symptoms will return. You must consult a doctor and a dietician to come up with a gluten-free diet for you or get help from Coeliac UK regarding the foods that are suitable for you to consume. The main foods that you have to avoid at all costs include wheat, barley and rye. The gluten-free diet you eat must not contain any products that are made using these grains. For instance, bread, pasta, cereals, biscuits, cakes, pies and gravies and sauces are all out of bounds for people suffering from coeliac disease. People who are sensitive to oats should avoid the consumption of any foods that are made using oats as well. You must also refrain from eating semolina, graham flour, farina, spelt and durum as well since they too contain gluten. Many of the natural foods are free of gluten and can thus be included in a gluten-free diet without any issue. These foods include rice, meat, vegetables and dairy products. Moreover, flours made from maize, corn, soy and potato can also be included in the gluten-free diet. You can consume these foods without any fear of instigating your disease since they do not contain an ounce of gluten. There are gluten-free versions of some breads and pastas also available in the market that can be consumed by a coeliac disease patient. In addition to eating a gluten-free diet, there are other treatment methods also indicated for coeliac disease. Vaccination is among these treatment methods which are advised for those patients whose spleen is not working properly and has thus left them more vulnerable to infections. These vaccines include flu jab, Hib/MenC vaccine and pneumococcal vaccine. Supplements are also sometimes prescribed by the doctor to the patients for meeting their nutrient requirements. Taking supplements is especially necessary in the first six months after the diagnosis to ensure that the body receives all the nutrients while the digestive system gets fixed.